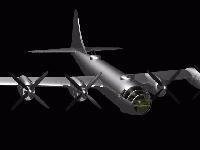 The Boeing B-29 was designed in 1940 as an eventual replacement for the B-17 and B-24. 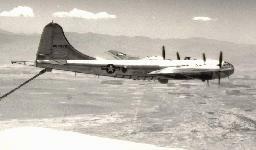 The first one built made its maiden flight on Sept. 21, 1942. 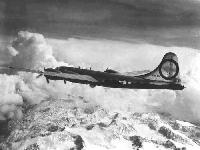 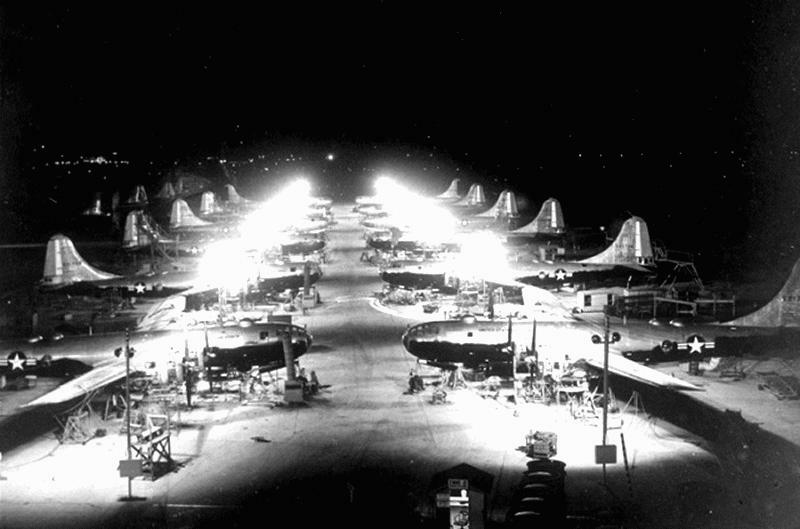 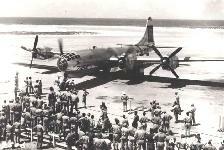 Developing the Boeing B-29 was a program which rivaled the Manhattan Project in size and expense. 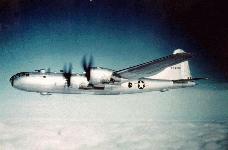 Technically a generation ahead of all other heavy bomber types in World War II, the Superfortress was pressurized for high altitudes and featured remotely-controlled gun turrets. 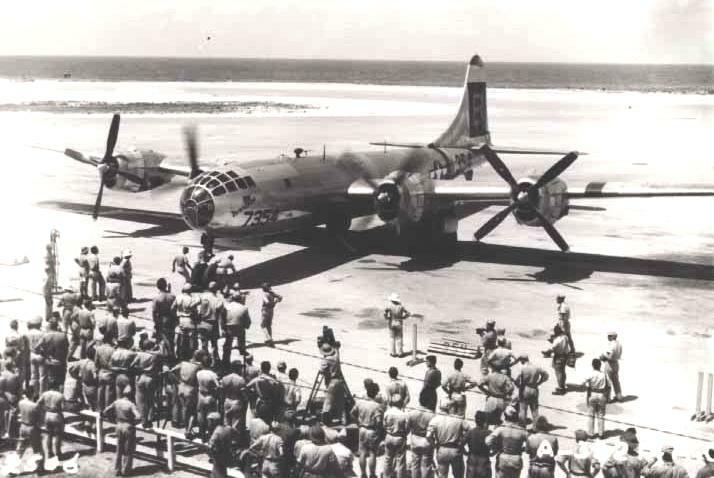 Most important, its four supercharged Wright R-3350-23 engines gave it the range to carry large bomb loads across the vast reaches of the Pacific Ocean. 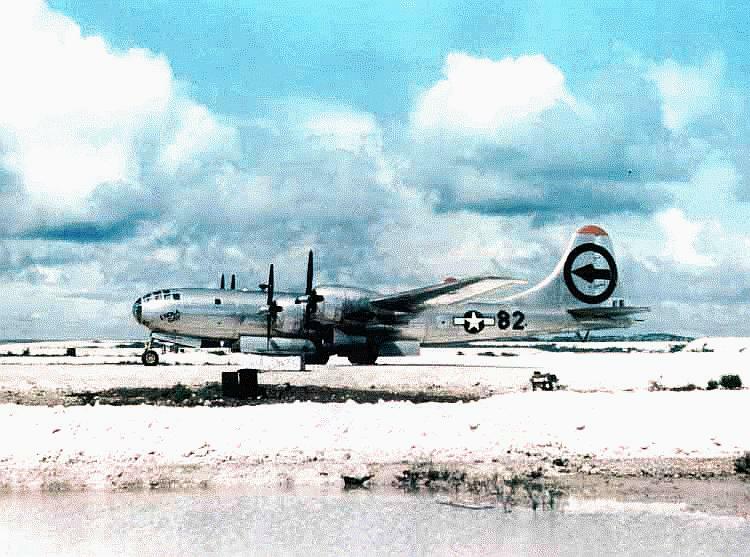 In December 1943, it was decided not to use the B-29 in the European Theater, thereby permitting the airplane to be sent to the Pacific area where its great range made it particularly suited for the long over water flight required to attack the Japanese homeland from bases in China. 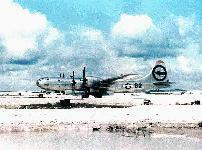 During the last two months of 1944, B-29s began operating against Japan from the islands of Saipan, Guam and Tinian. 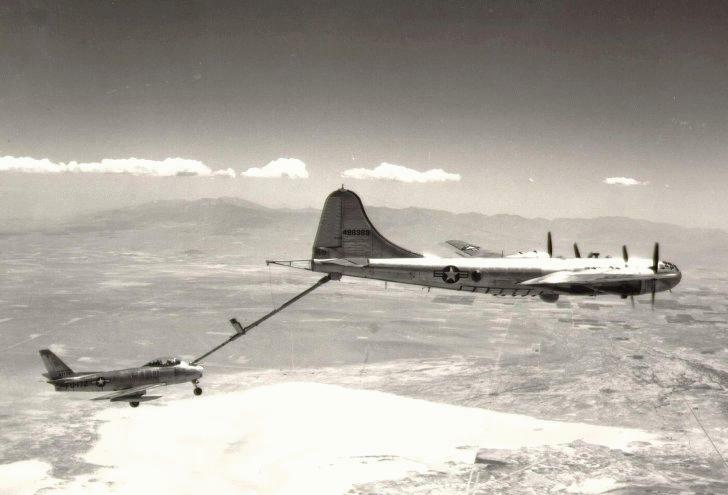 In order to extend the range of the new generation of jet aircraft, a B-29 was fitted with a flying boom for experiments in air-to-air refueling.